We are delighted to announce the winner of our June subscribers' contest ... as well as exciting news on the next amazing prize! Thank you to everyone who subscribed to Nile Magazine through the month of June. I trust you are enjoying your NILE time! As a bonus, everyone who subscribed in June went into the draw to win a copy of “Pharaohs of the Sun”, the story of the remarkable renegade pharaoh, Akhenaten. This fantastic book features more than 250 works of art from the life and times of Akhenaten, the controversial pharaoh who moved Egypt's capital, gave art a new look, and turned his back on an ages-old religious practice in order to worship a single god, Aten. And the winner is … Sophie Wille! Congratulations Sophie. We’ll be in touch to arrange getting your prize to you. Pictured above is one of the amazing images featured in 'Pharaohs of the Sun'; a colossal bust of Akhenaten from the temple he founded early in his reign, before the big move to the Amarna plain. Within a couple of years of becoming king, Akhenaten commissioned a group of temples east of the enclosure wall of the great Amun Temple complex at Karnak. This was where he started to show his true colours. Instead of depicting a traditional collection of gods, these buildings honoured just one - the Aten, depicted as a sun-disc with rays of light ending in hands. If that wasn't enough, the king had himself portrayed in a startling new fashion. Gone was the eternally youthful, athletic pharaoh. This king had a potbelly, elongated head, narrow eyes and large, fleshy lips. You can imagine the whispered concern amongst the conservative Amun priesthood. After Akhenaten's death the walls of his Karnak Aten temples were carefully dismantled and the blocks used as filling in the Second, Ninth and Tenth pylons, as well as foundations for the giant columns in the Great Hypostyle Hall. The statues were broken up for re-use, but there was little damage that might suggest a particularly personal attack on the king. A hundred years earlier, the destructive backlash against the female pharaoh, Hatshepsut, had been much more violent. The statue pictured was discovered in 1926 by Henri Chevrier, the then inspector of antiquities at Karnak. It is now housed in the Egyptian Museum in Cairo (JE 98915). 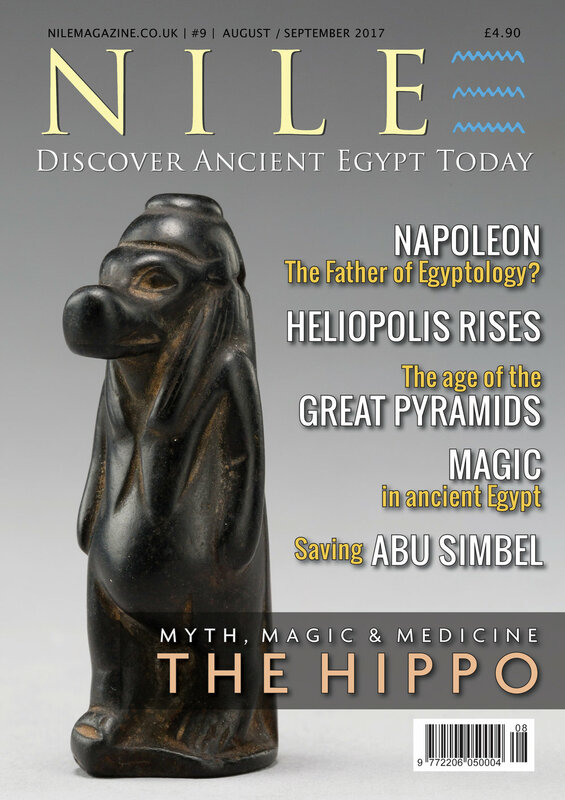 The July / August edition of Nile Magazine is just about to launch, so keep an eye on your inbox.I'm sure you'll love it! Also coming soon, an exciting new contest that could see you and a friend on your own adventure along the Nile.